Yaxha was the third largest city in the region and experienced its maximum power during the Early Classic period, Yaxha had a long history of occupation with the first settlement being founded sometime in the Middle Preclassic period. You will be pick up in the meeting point in Flores and you will be transferred to Yaxha Archaeological Park. It is a Mesoamerican archeological site located in the northeast of the Petén Basin region within the Department of Petén. It is approximately 30 km southeast of Tikal, between the Yaxha and Sacnab Lake. 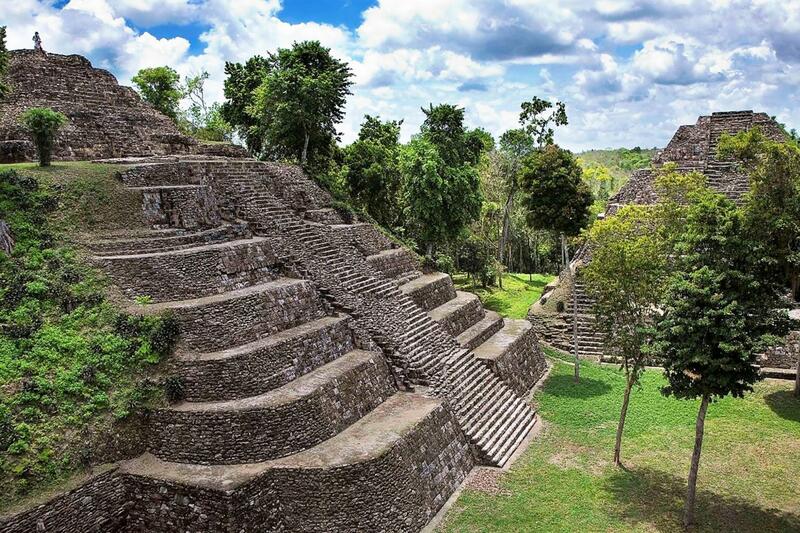 Located in the modern-day department of Petén, northern Guatemala, it is approximately 30 kilometers southeast of Tikal, Yaxha is situated on the north shore of Lake Yaxha. Yaxha is the third largest ruin in Guatemala, with only Tikal and El Mirador being larger. The centre of the city consisted of a number of plazas and architectural groups, with outlying groups and the lake shore linked by causeways. The main architectural groups are the Maler Group to the north, linked to the central area by the Blom Causeway, the South (or Main) Acropolis, the West Group, the Northeast Acropolis, the East Acropolis and a number of plazas and lesser groups make up the site core. The city was linked to the shore of Lake Yaxha by the Lake Causeway. At the end of the tour, you will have time to have a traditional Guatemalan lunch.